Short Product Description: Made from minerals and coconut oil based soap flakes (also made by Niffer’s) this laundry powder is powered by nature to get clothes clean. Lifts dirt and stains, and formulated especially for hard water. 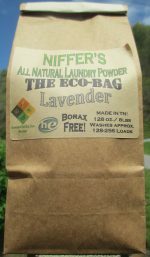 Niffer’s All Natural Laundry Powder comes in three scents: Unscented, Lavender, and Jasmine. Laundry powder is offered in multiple sizes to better fit your needs and budget. All laundry powder is made in small batches and scented with pure essential oils. Niffer’s All Natural Laundry Powder fights tough stains and leaves your clothes smelling clean and fresh. Use this laundry powder in any washing machine — top or front loading washing machines, and Niffer’s All Natural Laundry Powder is HE compliant. Hand washing delicate fabric is a breeze, and no need to worry about harsh chemicals on your skin. Niffer’s All Natural Laundry Powder is great for colors, whites, and even cloth diapers! Short Product Description: Natural stain stick for your toughest soiled laundry and more! Our customers have successfully used this stain stick on many items other than clothing: carpets, upholstery, and decks. Short Product Description: Want to kick the oral healthcare routine up a notch? Get squeaky clean with our Tooth Powder! Our basic mixture includes Calcium Bentonite Clay, Calcium carbonate, ground Peppermint, ground Cinnamon, ground Cloves, Baking Soda, Diatomaceous Earth, Xylitol (Not Safe For Dogs), and essential oils in your choice of Peppermint or Cinnamon. Our Mucky Blend features the same beneficial ingredients as the basic tooth powder, plus the added benefit of Activated Charcoal for whitening, and a powerhouse blend of essential oils (Clove, Peppermint, Tea Tree, and Oregano) for optimal oral health. Please Note: This is a supplemental tooth powder in addition to other oral care products, and should be used with caution by those taking prescription medications because of the binding nature of Activated Charcoal (A minimum 30 minute wait to brush after taking oral medications is recommended). Seeking the advice of your medical professional is also recommended if you are pregnant or nursing. The Basic Mix (in Peppermint or Cinnamon) can be used alone, or in conjunction with any other product in your oral care regimen. The Mucky Tooth powder is a natural teeth whitener. This can be used with our other tooth powders, toothpaste, or other products that you normally use. Rinse well after brushing, and follow up with a quick brush with water, toothpaste, or mouthwash. Our product packaging is made in the USA, recyclable, reusable, and BPA free! Short Product Description: Natural laundry soap made with all natural coconut oil soap. Money Back Guarantee: We are convinced that like many others you will love our laundry butter. However if you don’t return one opened jar along with any unopened bars back to us for a full refund. No Chemical preservatives: Our laundry butter contains no added preservatives or synthetic additives. Safe for H.E.Machines: Laundry butter does notsuds, Suds are a product of added chemicals (mainly SLS) and are not indicative of cleaning. The detergent makers add them because we have been made to believe that it’s the “suds” that prove the soap is working. If you want to know it’s cleaning look at how dirty the water is, feel the clothes after washing, smell your clothes. Your clothes will smell “clean” not perfumed. 4. Stick the measuring spoon of detergent under the running water, let it fall off the spoon. 5. Close the washer lid, go away have fun for a while, or if you want come back lift the lid and see how much dirt is in the wash water. 2. Measure out 1 Tablespoon (Seriously 1 level Tablespoon) of laundry butter & dump it on top of the dirty clothes. 4. Go away and do something else while the machine runs, or if you want watch and see how much dirt is in the wash water. Does it Really Only Take 1 Tablespoon? YES it really does a full load use 1 tablespoon, on a half load only use ½ Tablespoon, If they are really soiled (you’ve been tending the goats, plowing the field or working on your truck) go ahead and use a rounded Tablespoon full. Can I add bleach? Sure, but we recommend using Sodium Percarbonate (the active ingredient in the big name oxygen bleach without all the added chemicals you can get it online or if you would rather we can get it for you. Can I add Fabric Softener? If you must, but you are only adding more dangerous chemicals to your clothes, we recommend you at least try it with nothing or try adding half water-half vinegar to the fabric softener dispenser. Dry sheets also only coat the clothes with dangerous chemicals. Why do detergents make my clothes look dingy? This is caused by using too much detergent (it builds up in the clothes and actually traps dirt) or by washing the clothes too long (an extended wash cycle) which tends to redistribute the dirt in the clothes. This is my EPIC LAUNDRY SOAP ! 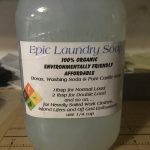 I got tired of spending a small fortune on laundry soap that was full of chemicals and so harmful to the watersheds and the environment; so I created my own recipe after months of researching different recipes and ingredients in a organic laundry soap. 1 TBSP OF MY SOAP FOR A NORMAL WASHLOAD !!!! HE WASHERS require much less detergents than traditional washers well this soap works great in both; also great for cleaning ie: windows, floors and algae off anything ! Short Product Description: Natural dishwasher powder for dish washing machines. Niffer’s All Natural Dishwasher Powder is a mineral based cleaning powder for dish washing machines. Cleans without leaving spots, even with the hardest water! Niffer’s harnesses the power of nature to offer this lemon scented powder to get your grimiest dishes clean. Available in 1 pound packages for $5.00, scoop included. One package washes approximately 36 loads. 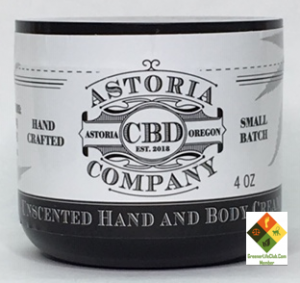 Short Product Description: All natural wax melts made with natural soy wax and body safe fragrances. These wax melts are highly fragranced in order to give your home lasting, wonderful fragrance. Unlike the store bought ones, they last for weeks and are made from soy wax made in the USA. We are members of the Greener Life club and are committed to bringing you quality products without the chemicals. Our fragrances are purchased from Essential Depot. We depend on their quality. Short Product Description: Our Spring Clean home cleanser can replace a lot of your toxic and harmful house cleaners. Clean you dishes, floors, bathroom, and anywhere you need a refreshing and safe clean! Our scent of citrus basil will invigorate your senses while leaving your home smelling fresh and clean! Replace the harmful detergents and cleansers in your home with this all natural alternative that will get your home clean, disinfected, and smelling great! Made with only the best natural and organic ingredients, this vegan cleanser is what I use in my house daily in my kitchen, bath and high traffic areas! No Pollutants and no constant disposing of plastic containers. It’s a clean, simple, environmentally friendly solution that really works! Refillable laundry soap. Use your own water and own container; Grey-water and septic safe; fragrance-free; and formulated for sensitive skin. 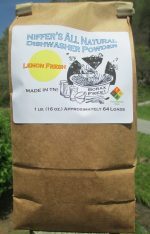 This zero-waste, plastic-free Laundry Paste is also budget-friendly at less than $0.08 per load! Tangie Laundry Paste naturally softens clothes and reduces fading. By eliminating the need for a separate fabric softener it naturally saves you money. It is tough on dirt and odor yet safe enough for baby clothes. Great in both High Efficiency & Front Load washer machines. Dilute as much or as little as you want! One full bar of paste – one gallon (128 oz) water. Half bar – 64 ounces water. Quarter bar of paste – 32 ounces water. Eighth bar of paste – 16 ounces water. Sixteenth bar of paste – 8 ounces water.